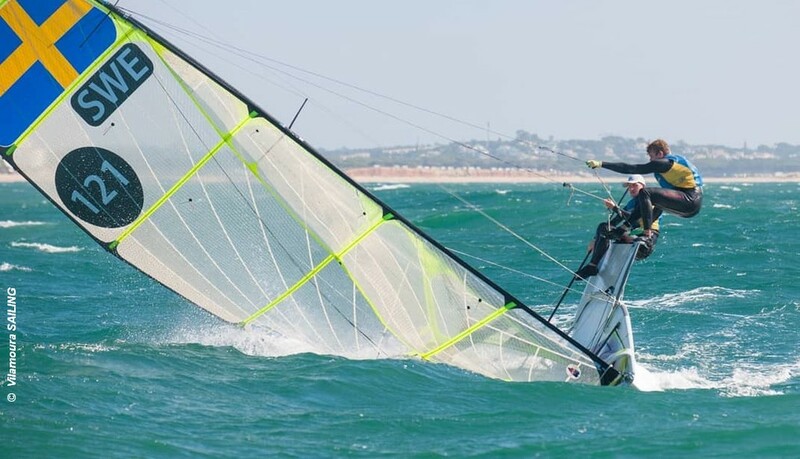 Tough conditions for the first day of part 2 of the Vilamoura Grand Prix with gusts of more than 25 knots and a big swell. Only the 49er managed to race, completing two flight races. Leaders are Diego Botin and Iago Lopez of Spain, second and tied on points are Justus Shmidt and Max Boehme of Germany. Best placed Brits are Morgan Peach and Rhos Hawes.